Plot: The life of a teenage boy is forever altered by a chance encounter with cutting edge military technology. Starring: Thomas Jane, Becky G, Alex MacNicoll, Alex Neustaedter. distributed by Global Road «A.X.L.» in the US movie theaters released on August 24, 2018 and has grossed over $6 million worldwide; dvd and blu-ray release date was set for January 1, 2019. Rent from Netflix and Redbox from January 1, 2019. 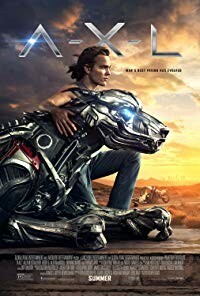 «A.X.L.» in the UK has no theatrical release date. DVD and blu-ray release date is not available at this time.